Alien 3. 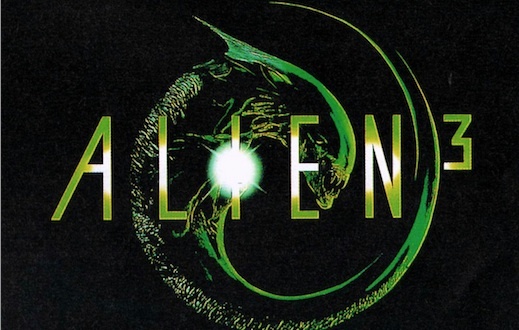 David Fincher’s 1992 film takes place right after the events of Aliens. An escape pod from the USS Sulaco crash-lands on a prison-run refinery planet, killing everyone aboard except Lieutenant Ellen Ripley (Sigourney Weaver). Unknown to Ripley, an alien organism was also aboard, which then begins killing the inhabitants of the prison. Upon release, Alien 3 received mixed reviews and Fincher disowned the film after the studio dismantled and reworked it without his consent. An alternate version of Alien 3 (officially titled the “Assembly Cut”) with over 30 minutes of additional footage and alternate key plot elements was released on the Alien Quadrilogy DVD set in 2003, and later in the Alien Anthology Blu-ray set in 2010. Titan Books recently reissued Alan Dean Foster’s Alien 3: The Official Movie Novelization, as well as his adaptations of Alien and Aliens. After re-reading Foster’s novel, I thought it would be fun to explore some of the differences between the book and the film and how unused elements from the screenplay were recycled for subsequent Alien films and Ridley Scott’s 2012 prequel, Prometheus. Continue below for 15 Things You Didn’t Know About Alien 3: The Official Movie Novelization, and be sure to check out 15 things about the Alien and Aliens novelizations if you missed them.